If you'd like to be informed of forthcoming events, special offers, new books and MP3s, and receive occasional articles, do sign up below. There is no cost, and your Email address will not be shared. You can unsubscribe at any time. Melanie Reinhart is best known for her book 'Chiron and the Healing Journey', and her work on Chiron and the Centaurs Chariklo, Nessus and Pholus. 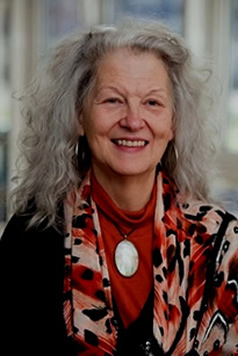 She is a prize-winning diploma holder of the Faculty of Astrological Studies in the UK (Margaret Hone Award 1979), of whom she is also a patron. She was awarded the prestigious Charles Harvey Award in 2004, given by the Astrological Association of Great Britain for 'exceptional service to astrology'. Her work is an unusual combination of intuition and meticulous research. Melanie was born in Zimbabwe, whose night sky inspired her vocation of astrology at an early age; she began studying the ancient Wisdom Traditions at the age of ten. She holds a B.A. Degree in English, Music and Drama, and has been a professional astrologer since 1975, this being a natural extension of her interest in soul, consciousness and the spiritual life. She has wide experience of many psychotherapeutic approaches and spiritual traditions, and has studied with a number of fine teachers. Melanie was initially self-taught in astrology, immersing herself for many years in the work of Dane Rudhyar. Later she had the privilege of learning from the many gifted astrologers in the rich milieu of London, and that journey continues. Melanie studied Horary astrology with Geoffrey Cornelius in 1989-90, and with Deborah Houlding in 2012 (Practitioner's Certificate). Melanie has taught for many highly esteemed astrology schools, in the UK and abroad, including the Centre for Psychological Astrology, the London School of Astrology, the Faculty of Astrological Studies, Aula Astrològica de Catalunya, Heaven and Earth Workshops and Astro*Synthesis. She has presented astrological seminars, lectures and experiential programs for local astrology groups in the UK, eight European countries, South Africa, USA, Mexico, Australia, New Zealand, Hong Kong and Taiwan. Currently living in rural Bedfordshire, Melanie maintains a busy consulting practice with an international clientele. This intimate use of astrology as a vehicle for personal guidance is the heart and soul of her astrological work. She has run her own programme of workshops, based mainly in London, for many years. In addition, she has written a number of highly acclaimed books which have been translated into several languages; her own publishing imprint is 'Starwalker Press'. Many articles archived on this site were originally (or subsequently) published in printed magazines such as 'Link Up' (no longer in print), 'Caduceus', The Mountain Astrologer, and the Journal of the Astrological Association of Great Britain. Online you will find her work on astro.com and I.A.M. magazine.